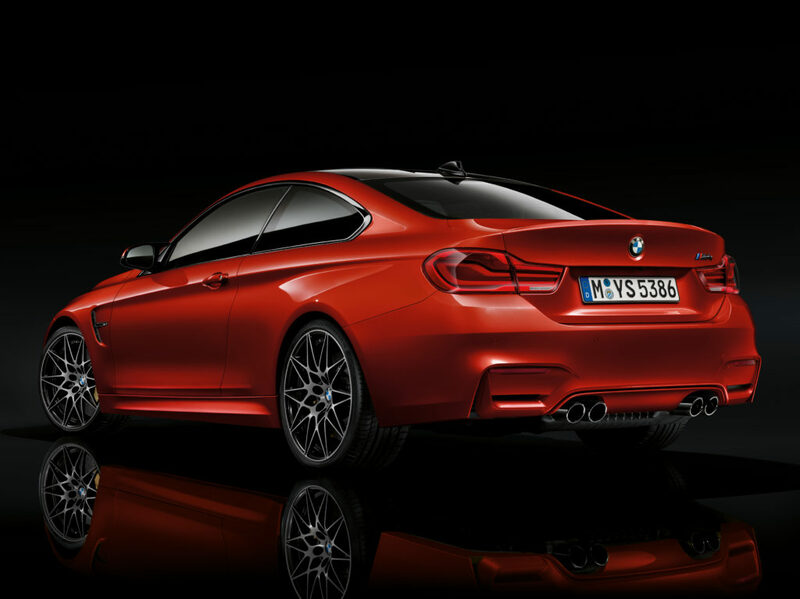 The BMW M4 and 4 Series coupe, convertible and gran coupe have been refreshed for 2017. Styling cues borrowed from the BMW Concept 4 Series coupe in 2012 are visible in the design of the new 4 Series, with the new models including a large air intake and LED headlights and rear lights. The BMW M4 coupe and convertible now come standard with LED headlights, the Icon Adaptive LED headlights with hexagonal graphics are optional. New 3D LED rear lights also freshen up appearances and add technical appeal. The BMW M3 sedan also gets this headlight upgrade starting in March 2017. 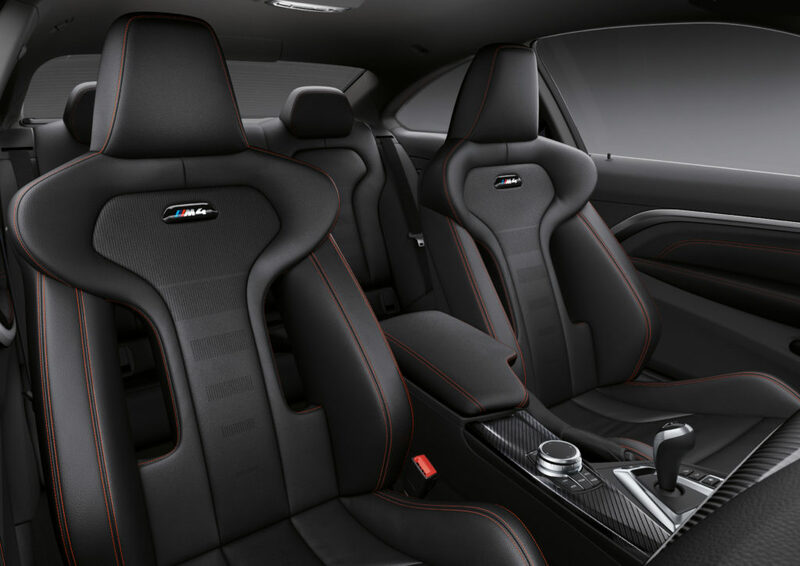 Both BMW M4 models feature new-look, illuminated M4 emblems on the front seats, while chrome and electroplated detailing, along with double stitching on the instrument panel, add to the overall look of the interior. 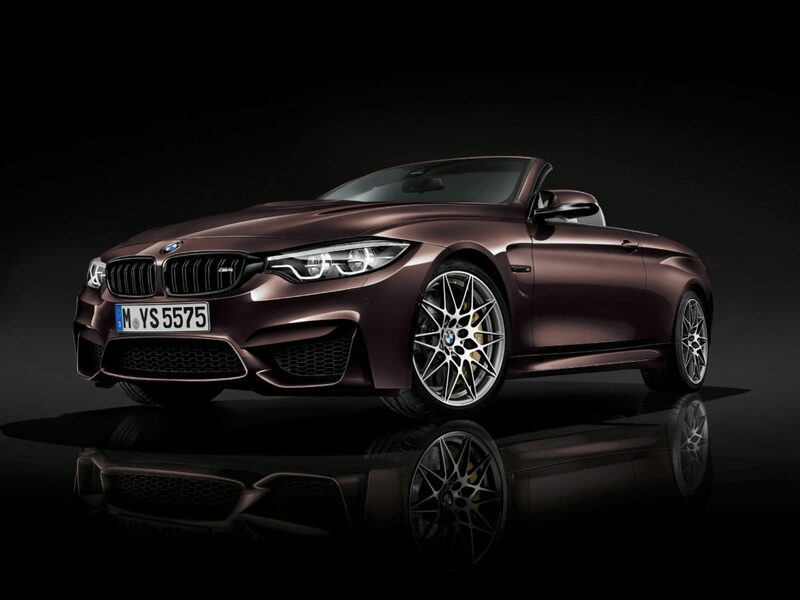 The list of standard options for the BMW M4 coupe and BMW M4 Convertible also includes the Professional navigation system with new user interface, ConnectedDrive services and enhanced Bluetooth, complete with inductive charging of mobile phones and a Wi-Fi hotspot. Since spring 2016, BMW M GmbH has also been offering a Competition Package for both M4’s that brings their dynamic character to an even higher degree. As well as measures to hone their handling properties and a variety of exclusive equipment features, the package also includes a 19 hp power hike to 450 hp. 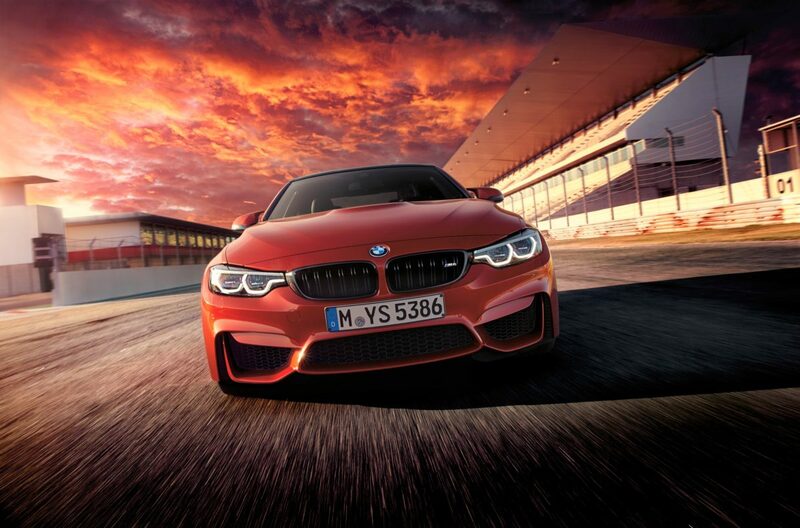 Combined fuel consumption for the BMW M4 coupe is 32.1 mpg and 31.0 mpg for the M4 convertible. 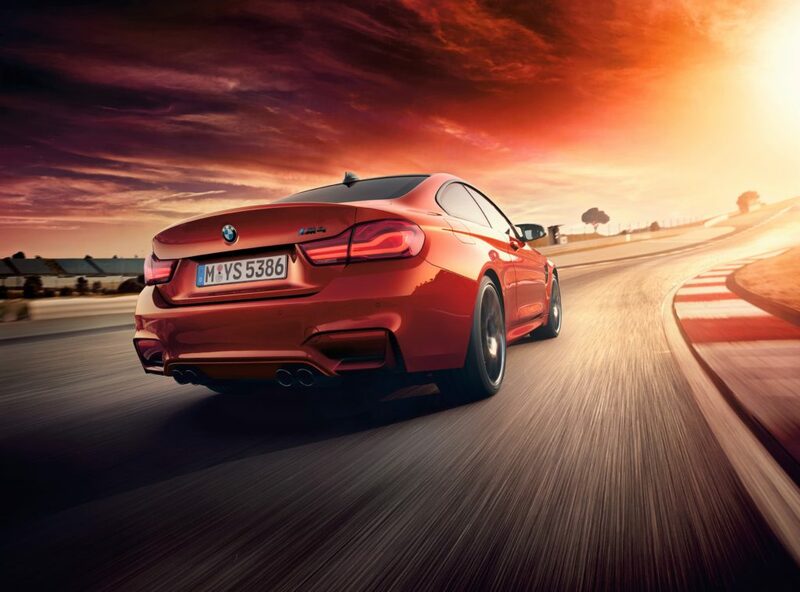 With the BMW M4’s extra power comes even sharper dynamics. When the optional seven- speed M Double-Clutch Transmission is added, the BMW M4 coupe accelerates from zero to 62 mph/100 km/h in just 4.0 seconds, 4.2 seconds with the manual gearbox. 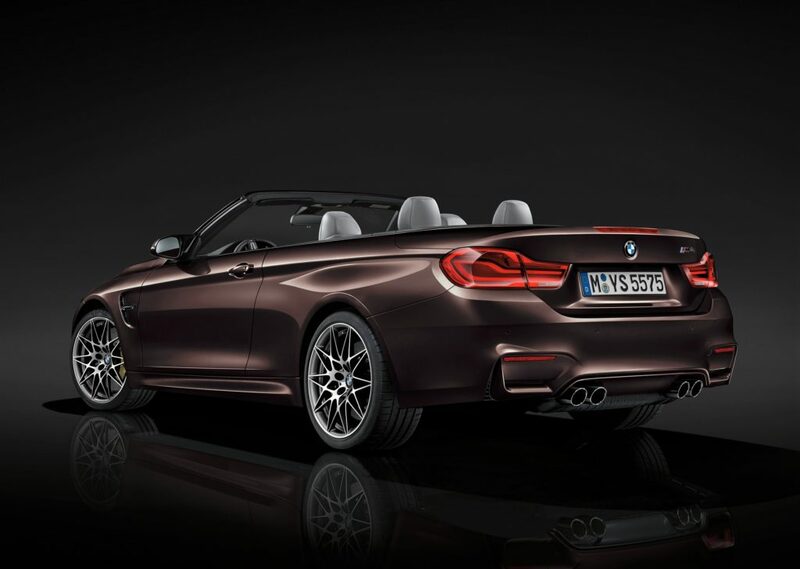 The M4 Convertible takes 4.3 seconds (4.5 seconds with the manual gearbox) to hit the same mark. The model variants with six-speed manual transmission also shave 0.1 seconds off the time of the same model without the Competition Package. As part of the model updates, the Competition Package is now available with the option of new forged 20-inch light-alloy wheels in Star-spoke 666 M style, in black, which complement the high-gloss black exterior components that form part of the Competition Package. 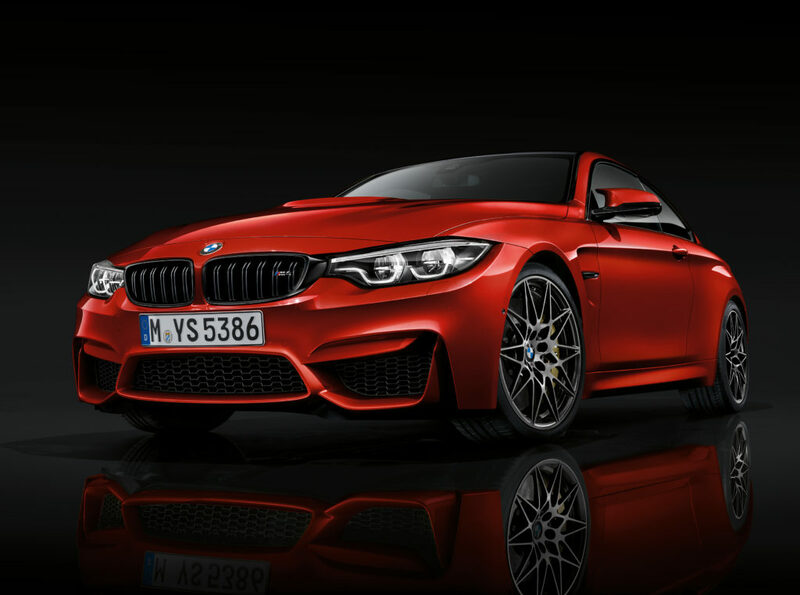 BMW M Performance Accessories are also now optionally available for the first time for the M4 coupe and Convertible, as well as the M3 sedan. Customers can now select four individual packages, adding key styling components that bring an even sportier dynamic appearance to both the inside and outside of their vehicle. The Exterior Carbon package adds carbon styling components such as front and lower trims, rear diffuser and spoiler, all formed with unique carbon fibre for a true motorsports appearance. The Exterior Carbon package is also available for the M4 Convertible with the front and lower trims, as well as the rear diffuser. Customers can also specify the Carbon Mirror package, which adds unique carbon fiber mirrors, while the Black Exterior Package adds black kidney grilles, side bars and exhaust tips. The interior also gets an upgrade with the Carbon Interior pack, featuring an Alcantara steering wheel with carbon fibre inlays, plus a gear surround and selector that feature the same carbon fiber finish.